"It's time for consumers to say goodbye to costly set-top boxes. It's time for more ways to watch and more lower-cost options. That's why we have been working to update our policies under Section 629 of the Communications Act in order to foster a competitive market for these devices. We have made tremendous progress - and we share the goal of creating a more innovative and inexpensive market for these consumer devices. We are still working to resolve the remaining technical and legal issues and we are committed to unlocking the set-top box for consumers across this country." 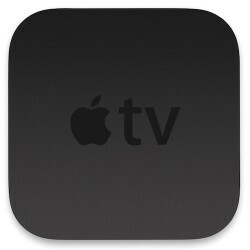 Introduced in January by United States Federal Communications Commission chairman Tom Wheeler, the proposal initially called for content providers to allow cable and satellite subscribers to access and watch cable content on any set-top box of their choosing, including the Apple TV, rather than being forced to lease a set-top box provided by cable companies like Comcast and Time Warner Cable. Cable companies want to have control over content and how and where it's displayed, so the FCC unsurprisingly met a lot of resistance over the proposal. Major changes to the measure were announced in early September in response to pushback from cable companies, and the revised version requires cable providers to develop apps featuring access to all of their programming -- live and on-demand -- for all major platforms including iOS, Android, Windows, and Roku. Providers are also required to provide open access to their content catalogs for universal search purposes, but the revised measure is much less ambitious and more restrictive than the original proposal, but more agreeable to content providers. With the first version of the proposal, companies like Apple could have built a full television-viewing interface around content provided by cable companies rather than simply offering content through a cable-branded app. According to the FCC, the proposal will now go on the Commissions "circulation list" and will "remain under consideration." The vote that counts is the one made with our wallets. Drop cable, get an antenna, and pay Netflix, etc. for streaming. In other words, someone got paid. They need to also get around this crap "can't stream NFL games because the NFL says so" BS. These boxes need to be just another option, and the Internet just another alternative to OTA Antenna, Cable, and Satellite. If the local station is airing a game, the local station has an app that streams the content, and the user of said app, with paid subscription, is geographically in the local broadcast area? There is ZERO reason to prevent that person from watching the game live. ESPECIALLY since local games are often blacked out on the paid subscription apps. "we have important Business interests we must listen to before the great unwashed...the customer....we will have an answer by 2018"
Cable TV and "packages of channels" is a dinosaur that needs to die. I'm not one, and most likely will never be one, but how does this help cord cutters? I see no real advantage to this scenario. Still have a subscription. Just apps instead of channels. How is that better? [USER=771325]@Cuban Missles[/USER] you're a cord cutter. Does this make you any happier? Because you can subscribe to *only* those apps that you want/need, not a bundle of "channels" that may never watch. The industry is corrupt is that sense... you need to subscribe to a bundle to get that one channel that you want. Serving the industry, not the customer. Of course it's delayed. This is America! FireTV with Playstation Vue anyone? I hate the cable industry as much as the next guy, but I'm not really for forcing these companies to develop apps. How do they decide which platforms get apps and which don't? I'd rather let these companies put themselves out of business by ignoring the market. Why should we keep pushing these dinosaurs forward? Let them die and something better come in and replace them. I've been doing this since 2010, but it's rough. For one thing, you're not guaranteed to get all of the channels OTA. The TV market where I live is about 250,000 people, so it's not exactly middle of nowhere. I can't get some major networks such as CBS which is crucial for watching NFL games. I try to stream my team's game, but I get blacked out, even though I live 120 miles away from the stadium in an adjacent TV market. For another thing, cable companies are also ISPs. In many areas, such as where I live, there's no getting around that. My cable line is 150Mbps, or I can get DSL which is 3Mbps. Right, that's some great competition! And they've been raising the rates on people who don't bundle, and they realize what the people are doing who are streaming and have been putting caps on data use. I recently upgraded to the fastest plan, which has 2TB, so there's no chance I'll hit that cap. But a couple years ago we did at 250GB on their then mid-range plan. If the government wants to really fix things, they should go after the lack of competition in various markets. These companies are somehow able to lock down entire areas and keep competitors out. It's ridiculous. Why isn't that being addressed? Sports is the key feature really. If you're a sports fan, then cord cutting is likely a bad idea. If you're not, then it's a good idea. It's not quite as simple as that, but it does describe a fair amount of what's happening. Comcast has the ability to stream its own content without it going over the internet. In fact all of them do. They just want to keep renting set top boxes because it makes them big profits.